The Atlantic salt marsh mink (Neovison vison lutensis) is one of four subspecies of mink that occur in Florida. Historically, mink have been difficult to survey due to their secretive nature and affinity for remote salt marsh habitat. As a result, little information is available on mink distribution or specific habitat requirements in Florida. Current data on mink distribution and habitat use is required to evaluate population status and identify potential threats to habitat quality. 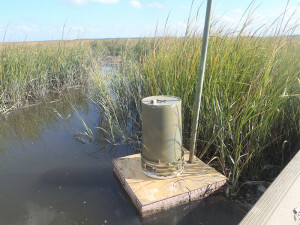 In 2014, FWC biologists evaluated the effectiveness of a floating camera trap to survey for mink in salt marsh habitat along the north Atlantic coast. 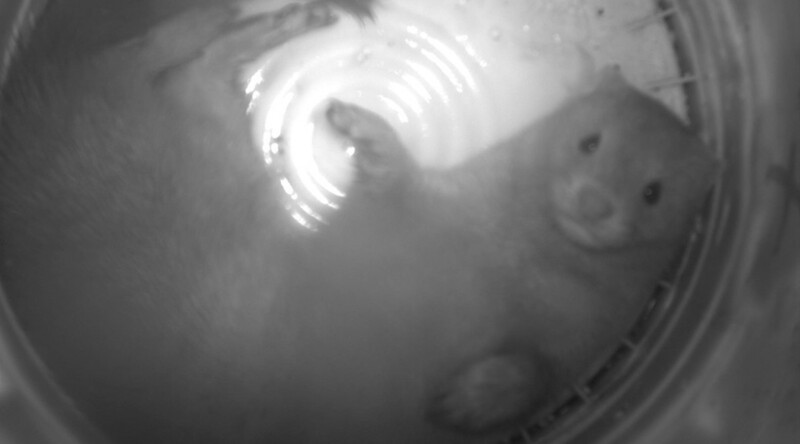 The floating camera trap, based on a design developed by University of Florida researchers, consisted of a trail camera attached to the inside of a seven-gallon bucket, which was placed onto a floating platform constructed of plywood and foam insulation. FWC biologists placed 269 floating camera traps in the salt marsh for 14 days each. 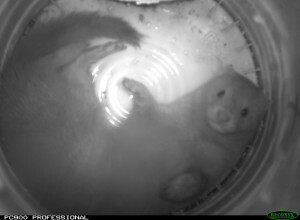 Mink were detected on 50 camera traps (19%), confirming the effectiveness of the survey method. The data collected will be used to evaluate Atlantic salt marsh mink population status in Florida and determine the habitat needs of one of Florida’s most elusive mammals.